Artis-Payne has re-signed with the Panthers on a one-year contract, Bryan Strickland of the team's official site reports. 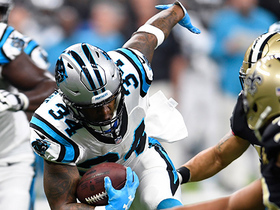 Analysis: As the depth chart stands, Artis-Payne returns to a Panthers roster that still has little depth behind starter Christian McCaffrey. While it's possible Carolina adds a running back in next month's draft, Artis-Payne should operate as the clear No. 2 over Elijah Hood (knee) and Reggie Bonnafon when the Panthers' offseason workouts begin April 15. Artis-Payne finished the 2018 regular season with 19 rushes for 69 yards and a touchdown in nine games played. 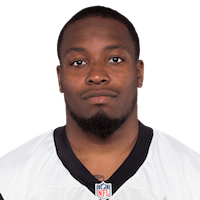 Artis-Payne is likely to notice an elevated role on offense Sunday against the Saints with Carolina expected to limit lead back Christian McCaffrey's snap count, Bill Voth of the Panthers' official site reports. Artis-Payne contributed a seven-yard run and 13-yard catch during Sunday's 24-10 loss to the Falcons. Analysis: Artis-Payne doubled his season total for touches on Sunday. The fourth-year back has just five touches in six games as Carolina's No. 2 back since the departure of C.J. Anderson. That role means more with Cam Newton shut down for the season as Newton was essentially the Panthers' second back, but the difference probably isn't enough to warrant looking at Artis-Payne next Sunday against New Orleans, a top-five run defense this season. Artis-Payne rushed for five yards on his lone carry during Sunday's 26-20 loss to Cleveland. Analysis: The carry was just Artis-Payne's second touch of the season. He's totaled just six yards. With C.J. Anderson now out of town, the fourth-year back has a chance to be more involved in the offense, but -- even as RB No. 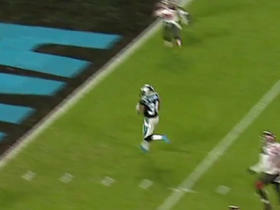 2 -- he figures to get RB3-level carries given the running prowess of Cam Newton. 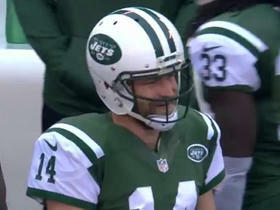 That, along with a Monday matchup against the Saints' top-three run defense, makes him a bad play this week. Artis-Payne rushed once for one yard in Sunday's 20-19 loss to the Lions. Analysis: Artis-Payne played only three offensive snaps in his first game as Christian McCaffrey's top backup. McCaffrey, on the other hand, was on the field for all 58 plays, evidencing just how little of a role Carolina's second-string tailback fills. Artis-Payne will serve as Christian McCaffrey's backup following Monday's release of C.J. Anderson, Jelani Scott of Panthers.com reports. 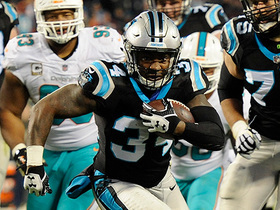 Carolina Panthers running back Cameron Artis-Payne takes off for 43-yard gain. 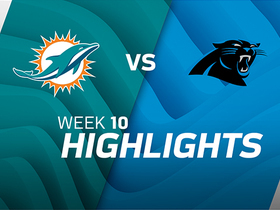 Carolina Panthers running back Cameron Artis-Payne scores a 12-yard TD run. 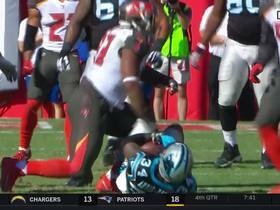 Tampa Bay Buccaneers defensive tackle Gerald McCoy explodes through Carolina Panthers line halting running back Cameron Artis-Payne. 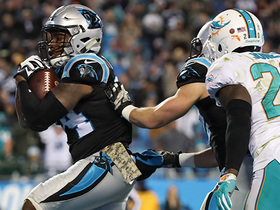 Carolina Panthers running back Cameron Artis-Payne bounces outside for a 12-yard TD run. 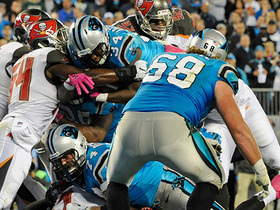 Carolina Panthers running back Cameron Artis-Payne jumps for a 1-yard TD run on 4th down. 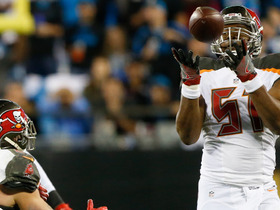 Tampa Bay Buccaneers linebacker Daryl Smith picks off a tipped pass from Carolina Panthers QB Derek Anderson. Our fantasy experts give you advice on some last minute pickups for teams competing in Week 17 championships.